Think of a wonderful African safari. Seeing the animals, from herds of zebra to giant elephants. Maybe even some exciting predators including, if you’re lucky, a lion. However, some people see this as an opportunity to try to kill nature’s finest work. Hunting is rife in the African plains. Some people enjoy decorating their walls with the severed heads of these beautiful creatures. The rarer the animals, the better a prize it is. In their eyes, there is a skill in shooting an unarmed animal. 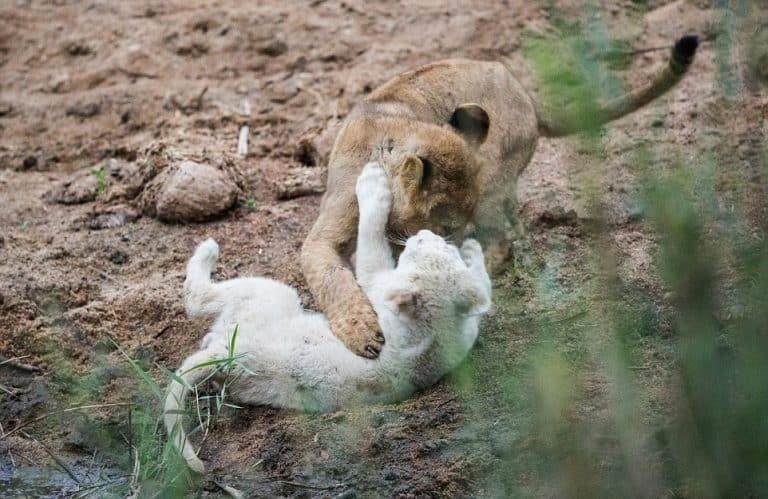 Less than 300 white lions remain in the world and only 13 of them in the wild. 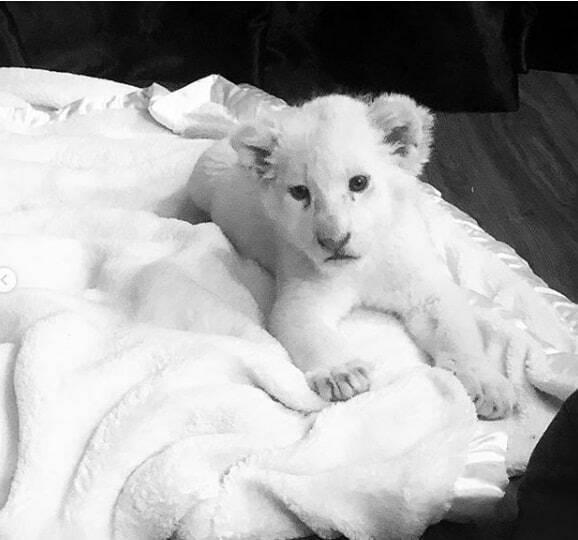 White lions are the result of a rare genetic mutation, and in some cultures are considered sacred. The mutation is called leucism, meaning that they have pigment in their eyes, paws, and skin, and only their fur is a different colour. However, this increases demand. Their fur fetches high prices on the black market for this very reason. However, Mufasa managed to escape with a different fate. Someone was keeping Mufasa as an illegal pet when he was just a cub. Thankfully, South African officials rescued him and transported him to Rustenberg Wildlife Rehabilitation Center. Here, he became good friends with a traumatised cub named Soraya, who had been through some horrific events. Her anxieties calmed when around Mufasa, and the pair developed a strong bond. However, authorities discovered that Mufasa had been neutered and they changed his fate. Unable to breed, Mufasa was useless for lion conservation efforts. So the government planned to sell him at auction. He would likely end up with him being hunted for sport. They also blocked efforts to relocate him for free to save him from this fate. 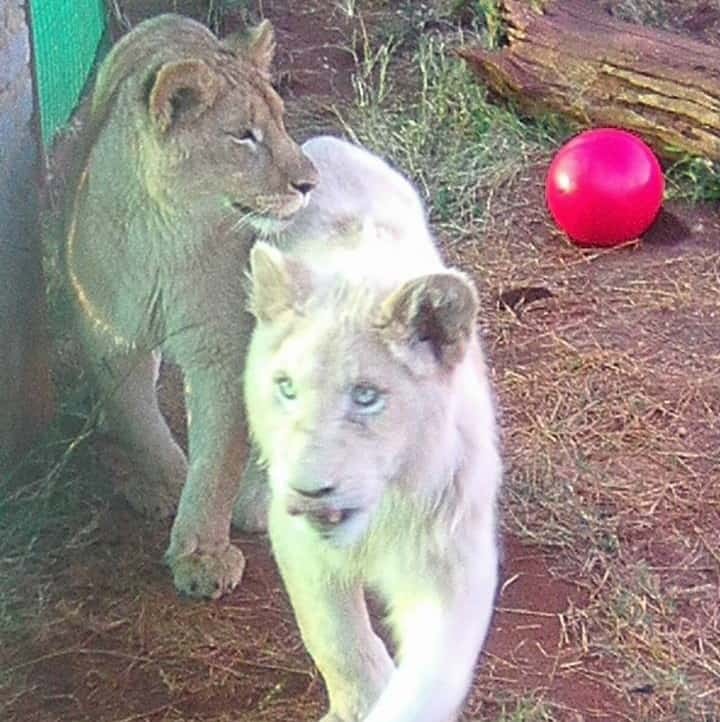 Luckily, an anonymous donor offered the government $37,000 to relocate both Mufasa and Soraya. While negotiations are ongoing, the future looks bright for the lions. Let us know what you thought of Mufasa’s plight in the comments below!